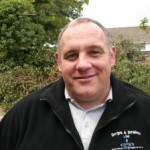 Blocked Drains Richmond by Chris 07917 852384 or Alf the two man drainage company not a large or national drain company. Blocked drains in Richmond for a fixed price for unblocking blocked drains in Richmond for over 27 years, upon your phone call we will ask you a couple of questions about your drains and then give you a fixed price over the phone before we even arrive on how much it will cost you. We have over 60 years experience and knowledge between us of blocked drains In Richmond and we are also assisted with the right tools for the job. So if you have blocked drains or a blocked toilet or blocked sink please give us a call for all your unblocking needs, we can also provide you with a drain cctv survey drain inspections. If you have any other drainage problems and you would like to discuss them with us please do not hesitate to call us, anything from bad drain smells to rat problems etc. For all your blocked drains in Richmond please give us a call direct to our mobiles 0791 7852384 Chris.